Recently, two previous visitors (Mingchao and Mari) have presented their work at two conferences. 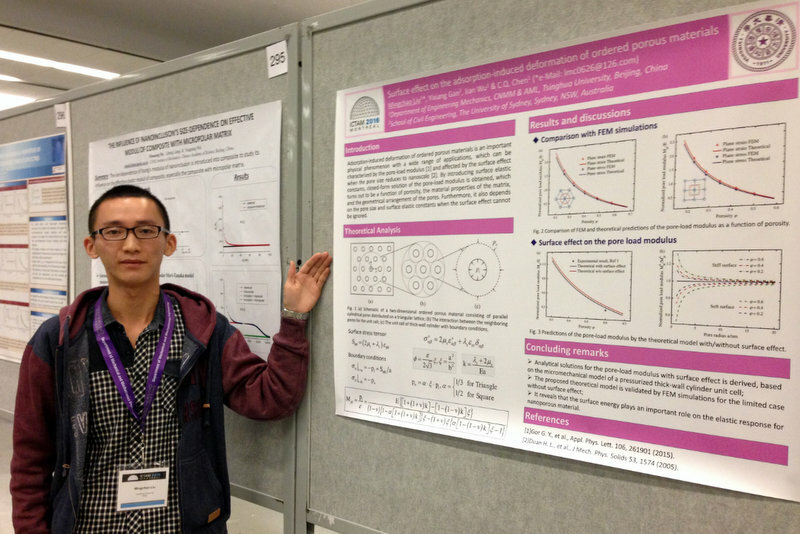 (1) In August, Mr Mingchao Liu (Tsinghua University, China) attended the 24th International Congress of Theoretical and Applied Mechanics (ICTAM2016) in Montreal, Canada, presenting “Surface effect on the adsorption-induced deformation of ordered porous materials”. 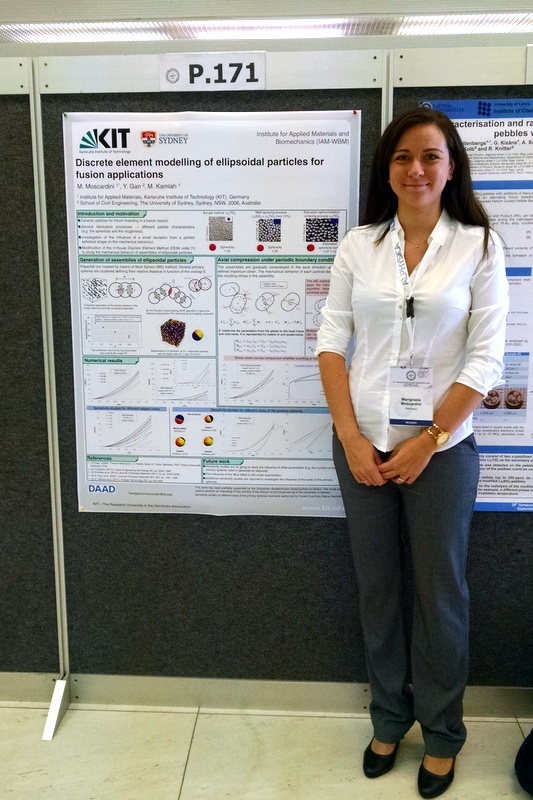 (2) In September, Mrs Marigrazia Moscardini (Karlsruhe Institute of Technology, Germany) attended the 29th Symposium on Fusion Technology (SOFT 2016) in Prague, Czech Republic, presenting “Discrete element modelling of ellipsoidal particles for fusion applications”. This entry was posted in Conferences and tagged conferences, people, visitors. Bookmark the permalink. Post a comment or leave a trackback: Trackback URL.